I just wanted to tell you that I’ve massively improved the search feature on LRTimelapse.com! In the past, you could only search the forum and even that was a bit cumbersome and often did nor deliver the most relevant results (searching happened via the build in search from the forum software). The worst was, that important blog articles, faqs, and everything outside the forum (instructions, tutorials etc.) were not covered by the search at all. That’s why I decided to switch to a Custom Google Search (we can think about Google what we want but at least they know how searching and finding works) – this now will search the whole LRTimelapse.com website including the forum and sort by relevance (or whatever you choose). My first tests delivered much better results. Just type whatever you are searching for into the search bar at the top of the site and get your results in an superimposed window. Please let me know in the comments, what you think and how it works for you! The new Google Custom Search in LRTimelapse.com – here searching for “Dehaze”. LRTimelapse 5.0.4 mostly fixes some issues that users reported. Fixed “Video Selector” not enabling when rendering a sequence from Lightroom that was currently loaded. Fixed “attempt to index field ‘?’ (a nil value)” error in LRTExport when trying to export from a parent folder. Added a meaningful error message instead. Assign Render Folder sometimes did not assign video files named with underscores, when the original folder had spaces. Fixed. Please download and install the update asap from the Download Page. How to organize your timelapse sequences! LRTimelapse does a lot to simplify your timelapse workflow, but it’s important that you follow some advices on how to organizing your work in order to be able to take profit of the simplified workflow. The most important aspect that I really recommend is to separate the original Files from the exported intermediary sequences and video files. If you do it right, you will only define the name of a sequence once (right after importing / splitting the sequence, as explained in this tutorial). The prefixes of the folders (Year, Month, Day, Hour) will be created automatically by LRTimelapse, if you choose to. I’d recommend to use them, it will help you to keep your sequences in order. You can have a deeper structure as well, for example have parent folders for the year, if you want to. But please don’t add subfolders inside the child folders with the timelapse sequences. Never put subfolders under the child folders with the time lapses! This is for the original sequences. Now let’s talk about the exported intermediary sequences and video files. When you export from Lightroom via LRTExport you will be asked for an Output-Path. My recommendation is, to use a similar folder structure for the exported sequences and the rendered videos, than you did for the original files. Choose a distinct root folder for those, for example Timelapse Done, I even put this on another drive. Then select an output path for the shooting, that you are currently working on, for example “Australia” or “Patagonia”. Name of the sequence will be filled in by LRTimelapse automatically, based on the folder name of the original sequence (that’s why you need to have the folder selected before exporting). This way you will have everything nice and in order. The LRTimelapse renderer then will put the rendered video files into the same parentfolder “Australia” or “Peru”. The renderer will add suffixes to the video files, so that you can always see which settings you used when rendering. This will as well prevent the files from being overwritten if you render with different settings. Whenever you changed the structure of your folders, you can reassign the render path under “Timelapse Done” to the original folders. This way you will reestablish the link to the video files in LRTimelapse. In order to do so, right click on Timelapse Original/Australia and assign the render folder Timelapse Done/Australia. This will redo the links for the subfolder and relink the videos, so that you can play them back directly from LRTimelapse. Please note that relinking will only work on the individual original folders (20180120_12_Uluru, etc.) or on the direct parent folder (Australia, Peru). Using this structure is really recommended when working with LRTimelapse. It will save you a lot of time and chaos and make sure that your work is always in order! Tagged Know-How, Orgnization, timelapse	| Comments Off on How to organize your timelapse sequences! LRTimelapse 5.0.3 brings a couple of improvements and important fixes. Please upgrade as soon as possible! Improved Contrast curve calculation in the Long Term Workflow / Filter Panel. Check out my new Long Term Tutorial! Double click on the label in the Filter Panel resets individual values now. Increased size of slider knob, on some Mac-systems it seemed to be hard to grab. Added +/- Buttons as well to the slider in the new composition dialog and settings. Since Adobe changed the location where the DNG Converter will get installed on 64bit Windows, LRTimelapse will automatically try to find it on that new location now also. When doing “Assign Render Folder” on the currently loaded timelapse sequence, the play videos button was not being shown in the toolbar and tree. Fixed. In rare cases the export from Lightroom could fail with an error, fixed. Sometimes rendering with the new timestamp overlay failed, fixed. LRT 5.0.3 is a free update for all LRTimelapse 5 users. Please find the download on the Download page. LRTimelapse 5.0.2 is an important update for all LRTimlelapse 5 users. Please update as soon as possible. Added an option to globally disable the tooltips in the program in settings/expert settings. Folders on network drives were not sorted alphabetically in the folder-tree on some systems. Fixed. LRTExport Plugin showed scrambled string aus output folder when exporting from a collection and Lightroom was set to German language. When rendering very large files in original size in Prores 444 and UHQ, the encoder could fail. Fixed. You’ll get the update on the Download-Page. 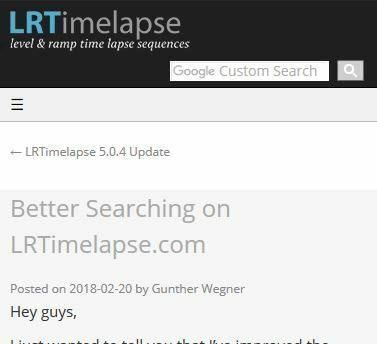 Unfortunately some users experienced a few issues with LRT 5.0 on their systems that’s why I decided to fix them quickly and release LRTimelapse 5.0.1. The batch processes “Batch Initialization / Camera Previews”, “Renew Camera Previews”, “Generate Visual Previews”, “Convert to DNG” can now be launched on a parent folder and will then put all child folders into the batch queue. In case that subfolders were found, a confirmation dialog will be displayed. Removed the batch process option “Generate Camera Previews”, since this will happen with the “Batch Initialization” process also. Fixed Bug in LRTExport that brought an error message after exporting and prevented LRTimelapse from taking over. Please restart Lightroom after installing 5.0.1! Fixed a problem with 16bit tiff intermediary files in the LRTExport dialog. 16 bit files can now be used, but won’t show a preview. Please find the update on the download page. 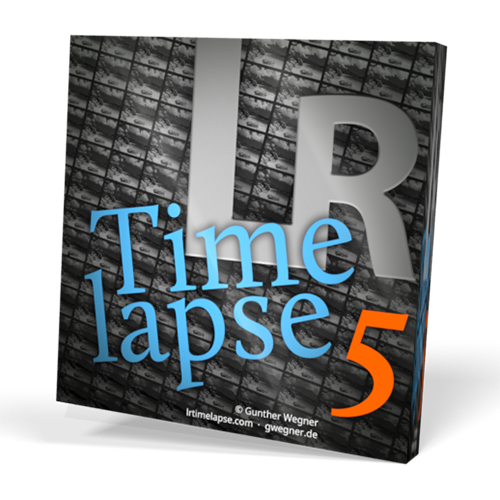 LRTimelapse 5 – This is new! 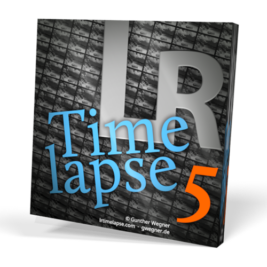 LRTimelapse 5 is major upgrade and brings many improvements! Check out what’s new! LRTimelapse licenses issued from December, 1st 2017 on will work with LRTimelapse 5. Users with older licenses can buy a discounted upgrade. Workflow status indicators in the file tree. Automatic detection of the workflow status when first loading a previously edited sequence with LRT5. Ability to mark a sequence as “Finished” by clicking on the new Checkmark in the main toolbar. This is a manual toggle. It will be reflected in the workflow status indicators as well and the folder in the tree will be shown in green. The Status “Video rendered” – will show up if a video has been rendered for the corresponding sequence. Rendered Videos will now be assigned to the original sequences. Once a video has been rendered, you’ll find a “Play” button at the right below the workflow buttons. You’ll get a dialog where you can choose the assigned video and play it back in the default media player. For folders processed with LRTimelapse 4 where intermediary sequences have already been exported from Lightroom, you can manually assign the default render folder via right click on a folder and then “Assign default render folder”. This will assign the videos rendered to that folder too, so that they are available via the new Play video feature. Added a “Render Directly“-Tab to quickly allow to render a JPG or TIFF sequence. No need to load the sequence first – you can choose it from inside the render dialog. If you already loaded a JPG or TIFF sequence, the direct rendering will refer to the currently loaded sequence. New, improved HG Wizard. Works even better now and supports subsequent adjustments. Adds a bit of deflickering in the first instance already. Automatic multipass option for Visual Deflicker. This will deflicker in multiple passes leading to very smooth results. You can set the number of passes and the desired accuracy. Normally 2 passes with normal accuracy should already deliver perfect results. While the refining is running, you can set a selection, this will then limit the refining to that selection while it’s running. The smoothed curve will not change anymore after a deflicker step, this makes refining parts of sequences much exacter and easier too. New menu entry “Remove Images” to move images to a folder with suffix “_REMOVED” (similar to the filter in the long term workflow). Forum-User Request. When switching folders while visual previews are being generated now additionally to finishing the preview generation in batch, you can now as well trigger an automatic multipass deflicker. You can as well start a batch multipass deflicker on a folder that is not loaded and possibly doesn’t even have visual previews. In that case you’ll have to blindly set the deflicker settings (unless the deflicker settings were set before on that sequence). Rendering Visual previews as a batch process is now heavily multithreaded, just like the regular visual previews generation. Multiple folder export. You can now select various folders in Lightroom’s Library. Make sure that the filter is set to “LRT Full Sequence”, then select all images and export. LRTExport will create all the required export folders and trigger the rendering for each one in LRTimelapse automatically. The render dialog now shows a preview for any loaded intermediary sequence. You can even scrub through the preview. When choosing “Force 16:9” in render dialog now you can define a top offset for the cropped region via a slider (Forum-Request). The preview will show where the crop gets applied. Support for more flexible naming for intermediary sequences (not forced to LRT_00001 anymore, but alphabetical sorting with leading zeros is required! Post processing options are now saved for any intermediary sequence. Those options will therefore be used by default for rerendering that sequence. Remember last render folder in render dialog after exporting/rendering from Lightroom. Forum-User request. Added Preview rendering for creating quick preview videos (Icon below preview). If the sequence has visual previews, those will be used, otherwise the camera-previews. The icon will indicate which ones will be used. When rendering a preview video for a JPG sequence, the original sequence will be used instead of the small previews and you will get a full render dialog where you can freely choose your settings. Basically this allows for a fast JPG rendering without any edits. New Icons, all completely scalable now. Improved UI Scalability for large screens/high scaling factors, new scalable Checkboxes, Radiobuttons, Comboboxes, Sliders, tree icons and handles. Added Buttons below the preview for Render Video, Render Previews and Render Composite. New Main Toolbar with frequently needed tools like Import / Initialize. Consolidated Workflow Buttons, added Auto Save when enabling visual previews. Time estimation indicator for Visual preview generation and other tasks. Mac: Delete via backspace key instead of Delete. Implemented support for Rotation and Mirroring of images. LRTimelapse will now show rotated and mirrored images in its previews including reference area support. This fixes the problem with mirrored GoPro Raw files also. Alt-Cursor Up/Down now jumps to the next interval change (Similar to Ctrl/Cmd Up/Down does for keyframes). This makes it much easier to select a sequence in a folder just imported, in order to move it to a new folder with “New folder from selection”. Shift-Alt Up/Down does the same but selects too. While the visual previews were being generated, you could not play back. Now, if you select a subsequence, where the visual previews already have been finished rendering, you can playback that region. Forum-User request. Improved reliability of preview loading when quickly switching between folders. You can now redefine the reference area on sequences with visual previews without having to rebuild the visual previews. Ctrl or Shift Click into the Preview panel on a Reference anchor will now delete that anchor. Added Filter for time span that lets you select a start and end time for the files. This will only work, if the images have Exif-Date/Time information. Long Term Workflow / Cameras without Exif-Support: If your camera does not provide Exif-Data for Date-Time, you can now try to fill the date/time information from the file information. Whether this works, heavily depends on the OS you are working on and if the original date/time information is still in the files. No guarantee! That’s why LRTimelapse offers the 3 different date/time information possibly stored in the files: creation date, last modified date and last access date. Mostly they are not handled correctly by the OS but you might be lucky to be able to exctract the information and write it to the Date/Time column in LRTimelapse. This will help with the sorting and enable the new Filter by Date/Time in the long term workflow also. Long Term Workflow: Smoothing sliders by default are now on the left position, this means no filtering is active. This makes it easier to approach the right filter values. Improved multithreading for visual preview generation. Increased possible number of supported threads to 32. Improved Refresh feature on the dirchoosers. If nothing selected, the refresh button will not select a default folder anymore. When changing a folder while it was loading the process was not interrupted in some cases. Fixed. Turned off “Set default 16:9 crop on initializing” for new installations in the settings, it’s recommended to work with the full images and do the 16:9 cropping when rendering. If LRTimelapse is currently saving, you won’t get the “unsaved metadata” dialog anymore when quickly changing to visual previews. Saving will just be finished in background. Windows: Fixed initial scaling factor when first starting LRT on a new machine. When deleting Raw-Files where a JPG with same name existed, the JPG was not deleted. Fixed. Reveal in Explorer did not work for files in the Root of a drive. Fixed. Shift-Reload will now respect a selection: if more than one image is selected, only the previews for the selection will be redone. Removed Multiselection from the main directory chooser (didn’t make sense) and some other choosers. After a dialog with “You have changed data, do you want to save?” the save operation would not show a progressbar. Fixed. Removed support for Lightroom 3. Tagged Announcement, LRTimelapse, LRTimelapse 5, News	| Comments Off on LRTimelapse 5 – This is new! Sorry guys, for the rather quick update after 4.8.1 – but it turned out that in some cases the ProRes rendering was not working in 4.8.1. So please update to 4.8.3 (unfortunately 4.8.2 didn’t fully fix the problem) where I’ve now finally fixed this. Sorry again for the inconvenience! 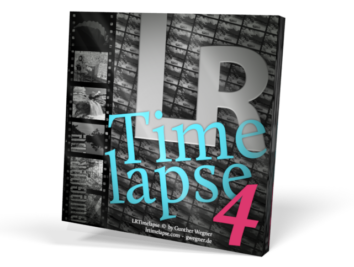 LRTimelapse 4.8.1 free update available! LRTimelapse 4.8.1 is mostly a bug fix release, therefore I really recommend to upgade to the new version as soon as possible! 1:1 pixel ratio is now forced on the video renderer for maximum compatibility with all players and video editing programs. Especially when “Force 16:9” was set in the LRTimelapse renderer, sometimes the videos could have look distorted in some players. Fixed DNG-Converter check (however due to a bug in Adobes DNG Converter 10.0 it will still not work with that version, Adobe promised that they’ll fix this soon). The Move files operation didn’t show a progress bar, fixed. Fixed an issue where sometimes temporary dng files were created in the image folder. 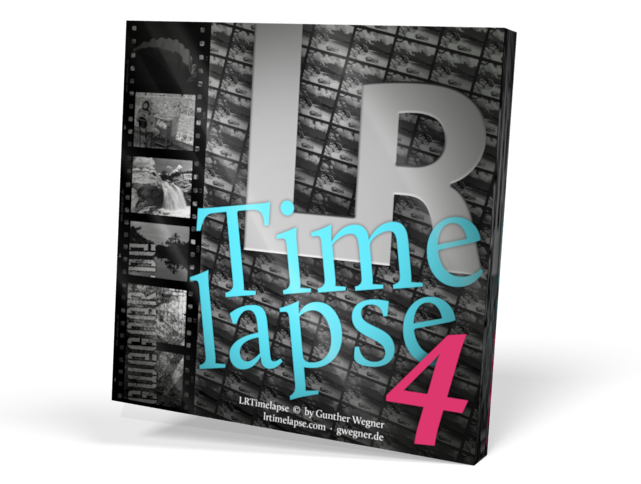 LRTimelapse 4.8.1 is a free update for all LRTimelapse 4 users. Please just download and install from the download page. 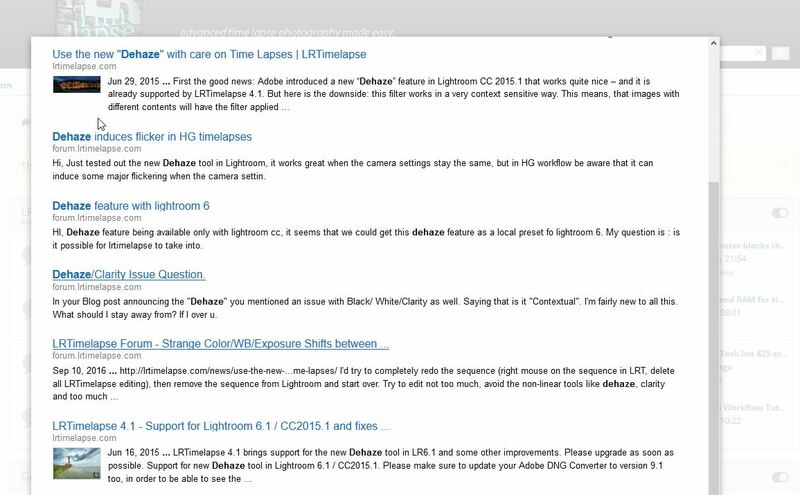 Comments Off on LRTimelapse 4.8.1 free update available! LRTimelapse 4.8 with support for Lightroom CC Classic available! LRTimelapse 4.8 is now fully compatible with the new Lightroom CC Classic update (and all older Lightroom Versions from 4 on). While I was leading a photo expedition in Bolivia, Adobe announced and released the new Lightroom CC Classic – and I guess we are all not really pleased, how they handled the naming. Taking away the original “Lightroom” name for a new cloud only product that is not even close to be a usable by professionals, was certainly not a smart move. But anyway – Lightroom Classic is now the name of our known tool – and it got even better with the latest update, especially in terms of performance. This is of course great news for us timelapse photographers. Apart from the performance improvements Adobe added new Range Masks to gradients and brushes. I’m not really sure yet, if this will be useful for timelapse editing, but I’ve spent a day analyzing how it works and implemented support for the animation of those Range Masks, including the color picker :-), into LRTimelapse 4.8. Added support for Lightroom CC Classic and the new Range Masks. (Of course LRTimelapse 4.8 continues to support all older Lightroom Versions from LR4 on as usual.) Range Masks will get animated (including the location of the color picker) on the 4 default linear gradients, 2 circular gradients and the first 2 brushes. Removed “Wrong process version” message when editing sequences with the new Lightroom CC Classic. Check for installed DNG Converter Version did not always work, fixed. Make sure to upgrade your DNG Converter to Version 10.0 if you are using Lightroom CC Classic! Hope you enjoy the new version! You can download the update from the download site. Tagged LRTimelapse, Update	| Comments Off on LRTimelapse 4.8 with support for Lightroom CC Classic available!